Water is the most natural and essential component of our diet. However, in order to be given to infants, pregnant women and breastfeeding moms, water must meet rigorous standards: be still and crystal clear with low sodium content, without an excess of mineral ingredients. Such is the Mammy and me spring water, dedicated to you and your child. Mammy and me is a crystal clear, still spring water, drawn from a source at the border of the Słowiński National Park, from Miocene and Oligocene layers with a depth of 170 metres. This guarantees its absolute ecological purity in terms of physiochemistry and microbiology, additionally controlled by modern laboratories and independent research institutions. Mammy and me is water with low mineral content and low sodium content. Between its ingredients it has no substances deemed as harmful, not even in minimum quantities. Thanks to perfectly balanced composition it can be administered to children from the first moments of their lives; it is also an ideal base for preparing meals for babies and toddlers. It is a perfect supplement for pregnant women and breastfeeding mothers. Due to special requirements for products for children and pregnant and nursing mothers, Mammy and me water is offered exclusively in still version and capacity not larger than 1.5 litres. Total amount of dissolved components: 271 mg/l. Spring water Mammy and me is produced with care for the highest quality and safety. 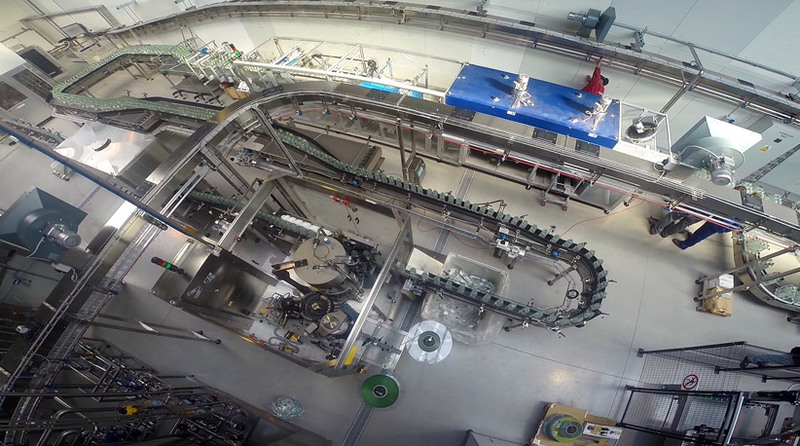 It is manufactured in one of the three production plants belonging to our company, located in Damnica near Słupsk. The production is based on the source of deep waters, located at the border of the Słowiński National Park. The plant in which our water is produced has a certified Food Safety Management System according to the norms EN ISO 22000, which integrates and harmonises the requirements of the HACCP system, Good Manufacturing Practice (GMP) and Good Hygienic Practices (GHP). The System effectively supervises and documents the entire food chain, and in the case of a risk of food safety, it eliminates the threat in its early phase. The Production Plant in Damnica also has the certificate confirming fulfilling the requirements of IFS (International Food Standard). Mum and I water is subjected to regular inspections and laboratory tests carried out by the internal Quality Department and independent laboratories, such as: Hamilton Poland Ltd., Saur Neptun Gdańsk S.A., Central Mining Institute, and the National Institute of Hygiene. The quality of our water is also confirmed by the highest rating in the ranking of spring and mineral waters available on the Polish market, as well as by certificates and recommendations of the best specialist hospitals in Poland. The WOSANA INC. Company is a Polish producer of drinks, present on the market for over 20 years. 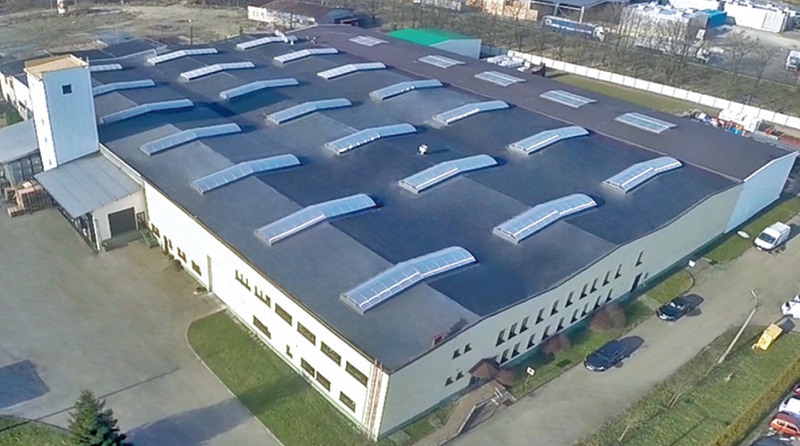 The registered office and management centre of the company is located in Andrychów (Lesser Poland voivodeship); in that town there is also one of our three production plants; the other two are located in Turów near Częstochowa and in Damnica near Słupsk. Our commercial activity includes both selling our own products and cooperating with trade partners in the field of private label. We also dynamically develop the export activities. We offer a wide selection of drinks in varied packaging and capacities: juices and nectars, mineral and spring waters, carbonated and non-carbonated drinks, functional beverages, preservative-free drinks, energy and isotonic drinks. Our leading product is the spring water Mum and I, prepared for children from their first moments of life, mothers-to-be and breast-feeding mothers. For more information on WOSANA Company and our offer, please visit our company website. 1. Do the bottles used for Mammy and me water contain Bisphenol A? 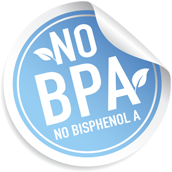 Bisphenol A (BPA) is a chemical ingredient used in the manufacture of various articles made from polycarbonate, considered harmful to health and banned in products for infants. Bottles used for the production of water Mammy and me do not contain Bisphenol A. All components we use while manufacturing our water have appropriate certificates, allowing them to come in contact with food. 2. How should I store the Mammy and me water after opening? Mammy and me water should be stored in the fridge and consumed within 24 hours. 3. Should Mammy and me I water be boiled before serving it to the baby? In accordance with the opinion of a dietitian cooperating with us, any water served from a PET bottle to a baby should be boiled before administering it, until the baby is one year old. Unboiled water can be given to the child after its first birthday. 4. Which water is best for pregnant women and breast-feeding mothers? Pregnant and breast-feeding women are especially sensitive to risks posed by the excessive consumption of chlorinated or ozonated drinking water from groundwater or surface water intakes. Therefore, they should reach for spring water with low minerals content (the total of minerals not exceeding 500 mg/litre) of a high microbiological quality. The need of pregnant women for water is approx. 3 litres per day. Proper hydration allows eliminating unpleasant symptoms associated with pregnancy, such as morning sickness and vomiting, constipation and urinary tract infections. During breast-feeding the daily need for water increases up to 3.8 litres. Proper supply of water is the condition to maintain correct body balance both in pregnant and breast-feeding women, correct development of the foetus, and ensures the production of milk on a sufficient level, meeting the new-born’s demand. © Copyright 2018 Wosana. All rights reserved.